I am convinced that Macy's negotiated an early exclusive on the new Dior Addict Fluid Sticks, because every other department store in New York City is left without till May. Even online, these are only available to Macys.com and Dior.com (for now). Since my e-tailer of choice is Nordstrom and retailers of choice are Bergdorf Goodman and Saks, I wrung my hands in frustration looking for them (BG and Saks generally get first dibs on new releases). But now, obsession sated! 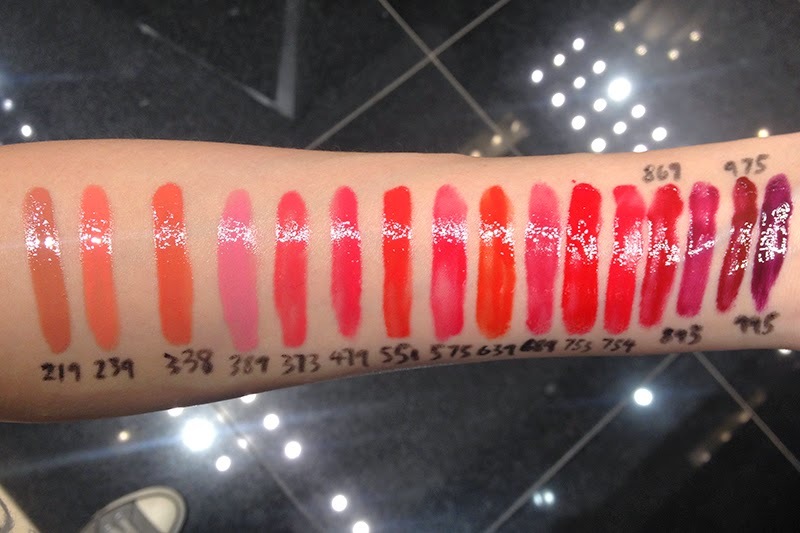 Pardon the messy eyelinered-on numbers, but you can only do so much when guerrilla swatching! I tried on the five in the first picture, which consists of 373, 639, 689, 893, and 995. My initial thoughts are that they have a great lightweight formula but take a long time to dry down. A few blogger friends have reported stickiness, though I personally didn't find it so. In keeping with my general buying restraint, I only allowed myself to bring home 639 Artifice (side rant: why can't Dior just put the shade name on the tube?). We'll see if I end up hoarding more shades or regretting my purchase in a few days. I would like to give a shout out to Michelle at the Macy's Herald Square Dior counter. She helped me sort the colors by number, even retrieving it from various displays, and let me swatch as I please. 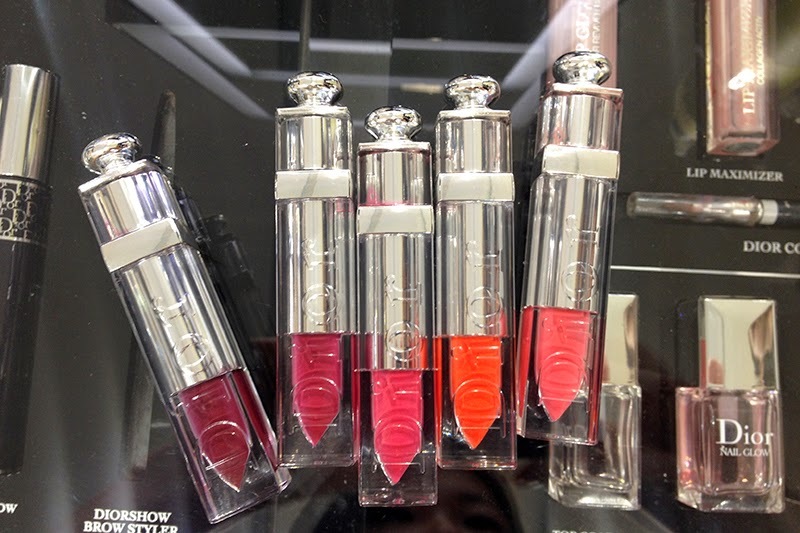 If you are looking to purchase the Dior Addict Fluid Sticks and would like to speak to an actual representative, or like me, just couldn't find it anywhere you looked, you can contact Michelle at 212-494-2797.